The Nicky Henderson trained Ok Corral is anticipated to have another run next month in the expectation of confirming his place at the Cheltenham Festival. 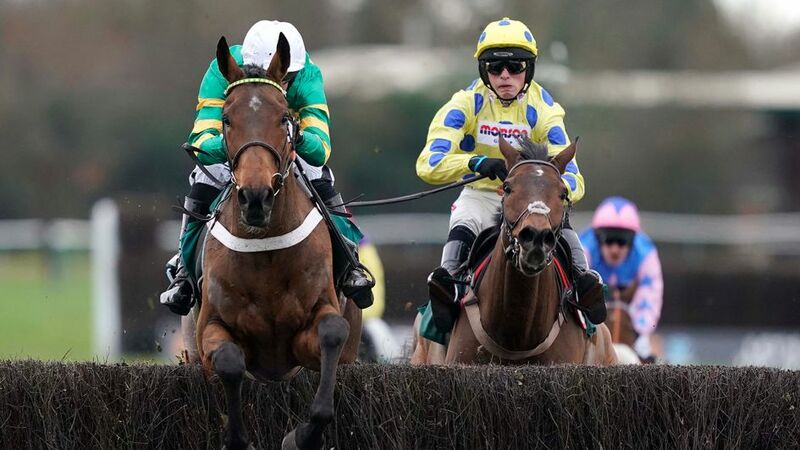 The nine-year-old, owned by JP McManus, was hastily slashed to 3/1 favourite with most bookmakers for the four-mile National Hunt Chase after taking his unbeaten record over fences to two with an imposing display in the Listed Hampton Court Novices’ Chase at Warwick on Saturday afternoon. With amateur rider Derek O’Connor coming over for the mount, with the purpose of riding this horse in the four-miler contest at the forthcoming Cheltenham, intentions from connections were clear. He was uneasy in the betting market, though, wandering from morning betting prices of 6/4 to 11/4 on the off, as support flooded in for Kim Bailey’s Rocky’s Treasure, who was sent off the warm-ordered 6/5 favourite. David Bass made the running on the market leader, but as he applied the pressure rounding the turn for home Ok Corral was voyaging under O’Connor in behind. Secret Investor was also going better than Rocky’s Treasure by this point and he took things up before the final two fences in the straight, but Ok Corral loomed at large up jumping the second last and there was only going to be one winner realistically from there on-wards. It was a performance that would fill you full of confidence.